Netflix COO Ted Sarandos spoke with Empire Magazine recently and discussed why they partnered with Disney/Marvel to bring The Defenders to the small (and possibly the big) screen. Back on November 7, 2013, Disney, Marvel, and Netflix announced an unprecedented deal to bring multiple original series of the live-action adventures of Daredevil, Jessica Jones, Luke Cage, and Iron Fist to the small screen, beginning in 2015. The agreement called for Marvel to develop four serialized programs leading to a mini-series programming event, culminating in The Defenders. So, Netflix will try to capitalize on The Avengers phenomenon creatively, but the question remain can they capture The Avengers phenomenal billion dollar financial success. The Marvel/Netflix announcement came on the heels of the Disney and Netflix agreeing in late 2012 to a new exclusive licensing deal would bring Disney movies to the online video streaming site starting in 2016. The deal included Disney, Walt Disney Animation Studios, Pixar Animation Studios, Marvel Studios, and Disneynature films, and means newer releases will be immediately available after the films are released on DVD. Many believed that this deal might have saved the streaming giant from an uncertain future. Currently, Disney is locked into a deal with Starz that ends in 2015. Netflix went on to outbid Starz for future rights to the titles, so the 2012 Netflix/Disney deal begins after Starz’s deal runs out, possibly explaining why we won’t see Marvel’s shows until 2015. Netflix is counting on Disney’s Starz audience following them to the streaming service at the end of the deal. Early estimation was that Netflix was investing roughly $300 million per year in their deal with Disney. To justify the cost, analysts say Netflix will have to add an additional 3.7 million subscribers annually (Netflix would also go on to increase rates for their customers this year). So, it would make fiscal sense that Netflix would want to invest further in Marvel properties, not only bolster their relationship with Disney, but also bring in new subscriptions to recoup some of that $300 million/year. Creatively, Marvel is allowed to expand “…the narrative possibilities of on-demand television and gives fans the flexibility to immerse themselves how and when they want in what’s sure to be a thrilling and engaging adventure”, according to Alan Fine, president of Marvel Entertainment. The real financial implications for Netflix are a bit murky due to their secrecy about their financials, but what is clear is that the potential is great for both parties. “Netflix has been willing to spend money to make money”, according to reporter Mark Hughes with Forbes Magazine. Netflix has invested in creatives like Kevin Spacey, David Fincher, Jenji Kohan, Mitch Hurwitz, Eli Roth, and now Marvel for high production values for their original programming. Hughes estimated that Netflix and Marvel could be budgeting for $5-10 million or more range per episode. Filming is already underway for Daredevil in various parts of New York City, but Netflix and Marvel has been hush about who we will see after Daredevil swings through Hell’s Kitchen. 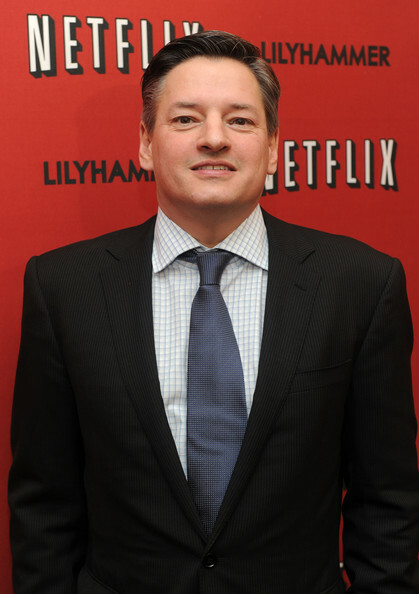 Sarandos told Empire where Netflix/Marvel was in the administrative process of making these titles, noting that Jessica Jones was next in line for production. Finally, Empire asked Sarandos about the tone of the Defenders series and how it would differ from the previous 2003 interpretation of Daredevil. Daredevil is currently scheduled to debut in 2015, but no firm debut date has been announced, which is not unlike Netflix’s typical approach to its original series. 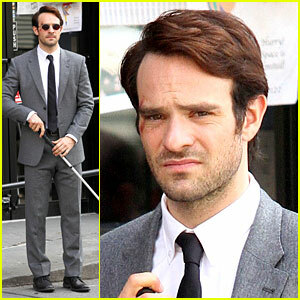 Daredevil stars Charlie Cox as Matt Murdock/Daredevil, Elden Henson as Foggy Nelson, Deborah Ann Woll as Karen Page, Rosario Dawson in an unknown role, Peter Shinkoda as Hachiro, and D’Onofrio as Wilson Fisk/Kingpin. Steven DeKnight is the executive producer/showrunner with Drew Goddard as a consulting producer.